An old city dating back to the early 13th centuary. Dresden has a collection of excellent museums in the city that are dedicated to art, local culture, the military, natural history, anthropology, and even hygiene. 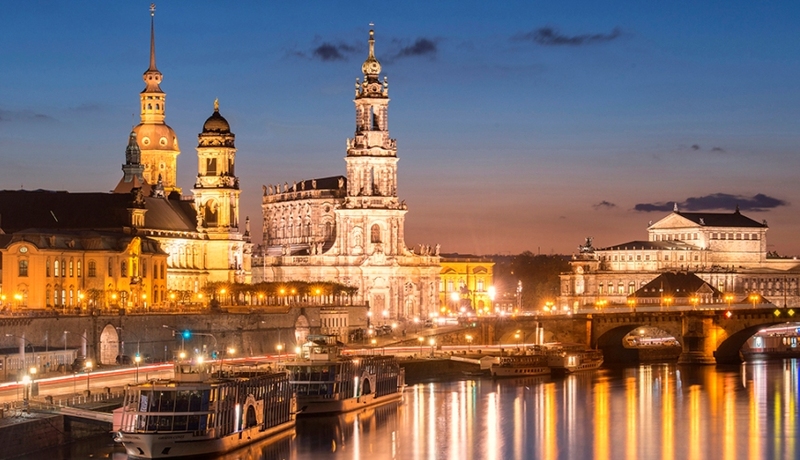 A lively city with a strong arts and culture scene, Dresden has an energetic nightlife and hosts a number of music, film, and cultural festivals throughout the year. These include the Colourful Republic Neustad, the Dixieland Festival, Filmnächte, and the festive Christmas markets held in the streets over December. Visitors looking for an active holiday will find plenty to do in Dresden. Rollerblading in the Großer Garten is a popular pastime, as is rowing in the small boats on the Carolasee. Saxon Switzerland, located upstream along the Elbe River, is a national park perfect for hiking and rock-climbing. For those attending the German MotoGP held at the famous Sachsenring circuit, Dresden airport is the closest (some 140 km away).